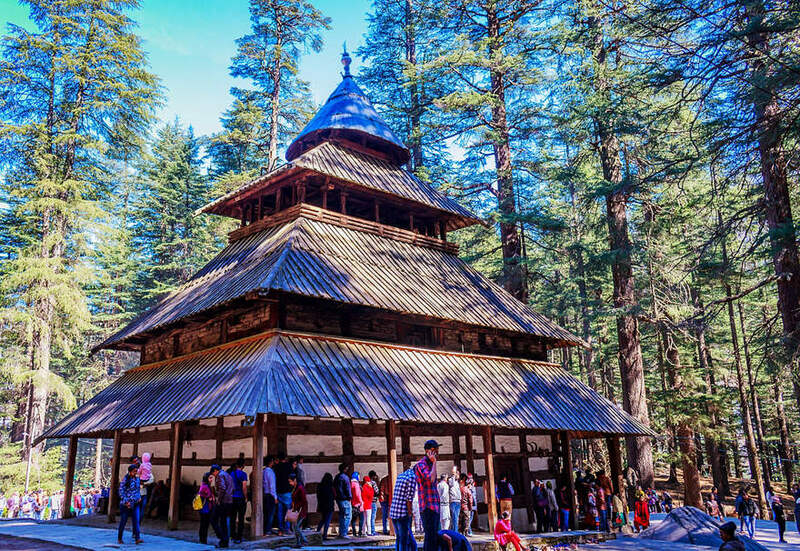 Hidimbi Devi Temple, locally known as Dhungari Temple, is located in Manāli, a hill station in the State of Himāchal Pradesh in north India. 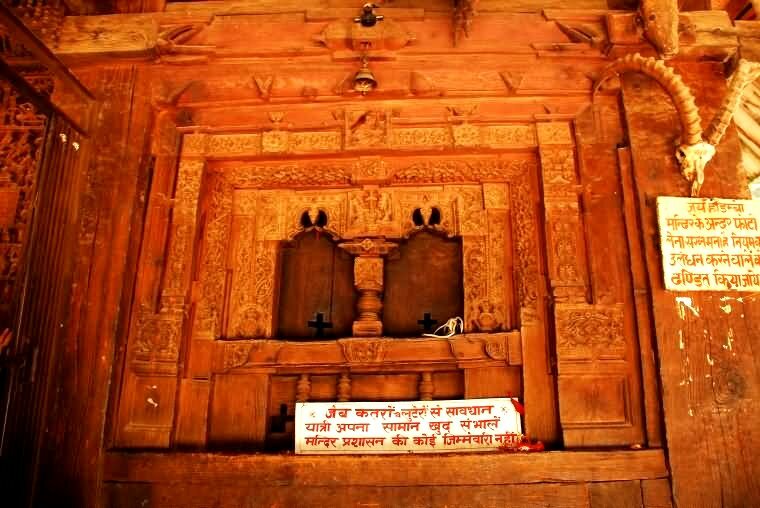 It is an ancient cave temple dedicated to Hidimbi Devi, wife of Bhima, a figure in the Indian epic Mahābhārata. 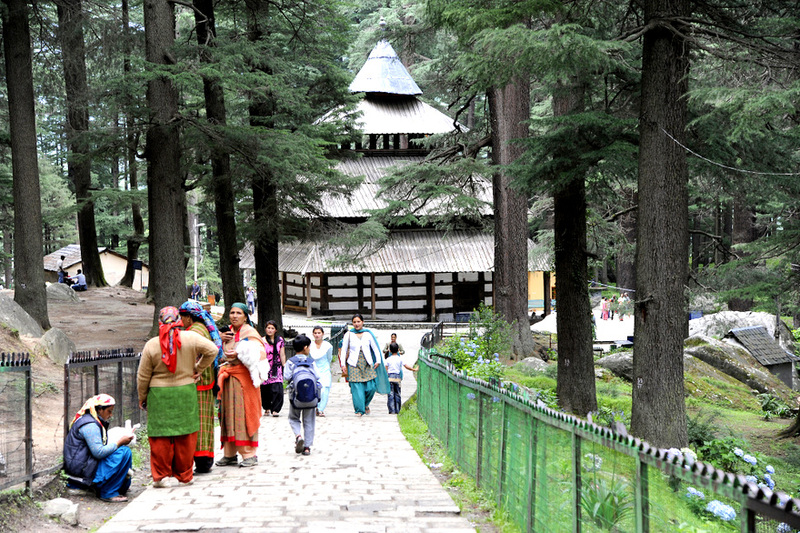 The temple is surrounded by a cedar forest called Dhungiri Van Vihar at the foot of the Himālayas. People visit this temple not only to worship, but also to marvel at the incredibly superb kind of construction it features. 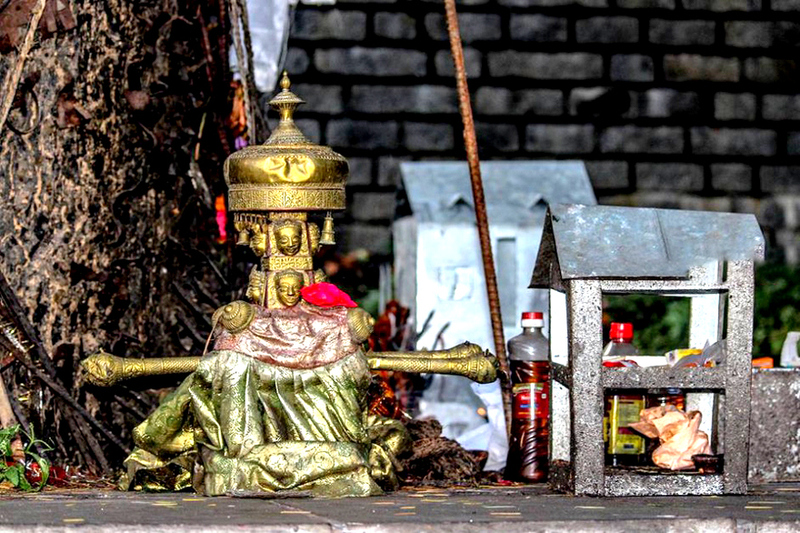 The sanctum sanctorum consists of no images or idols, but only the footprints on a stone. 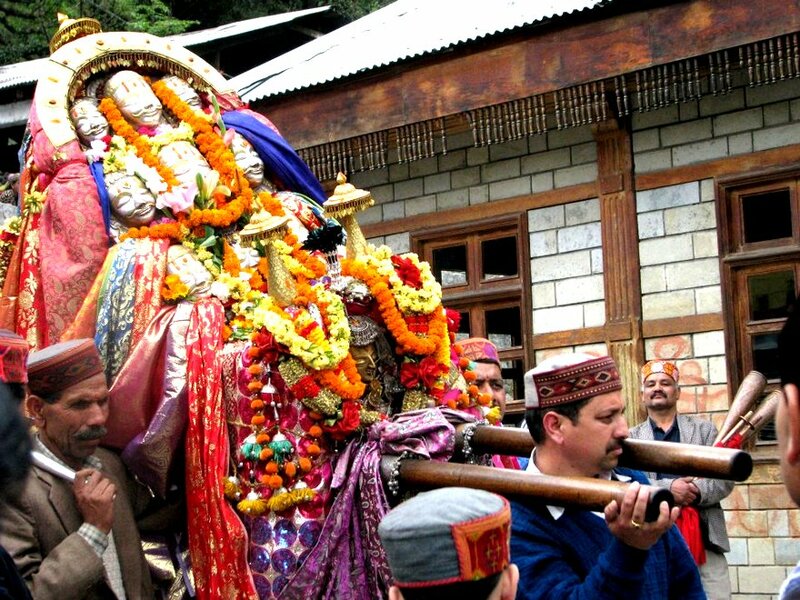 The central deity Hadimbi is considered the patron of the rulers and it is viewed very important to seek her blessings before their coronation. 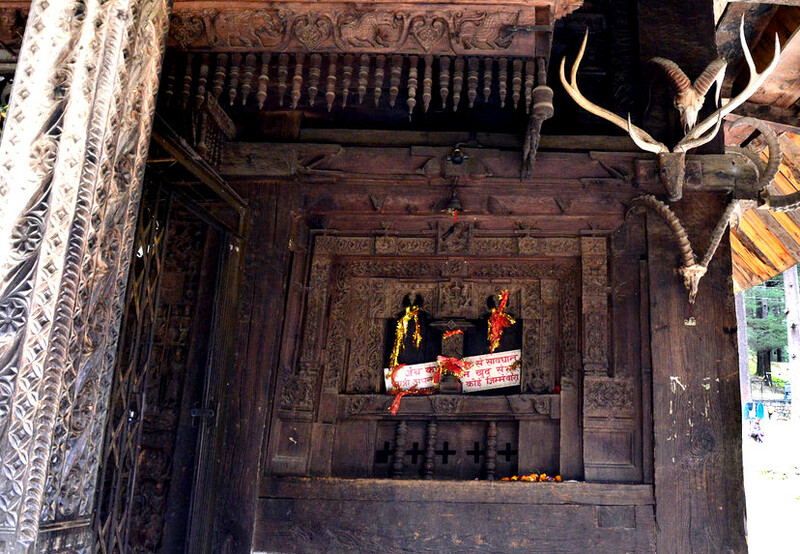 The Hidimbi devi temple was built in 1553 AD by Maharaja Bahadur Singh. The temple is built around a cave where Devi Hidimbi performed meditation. 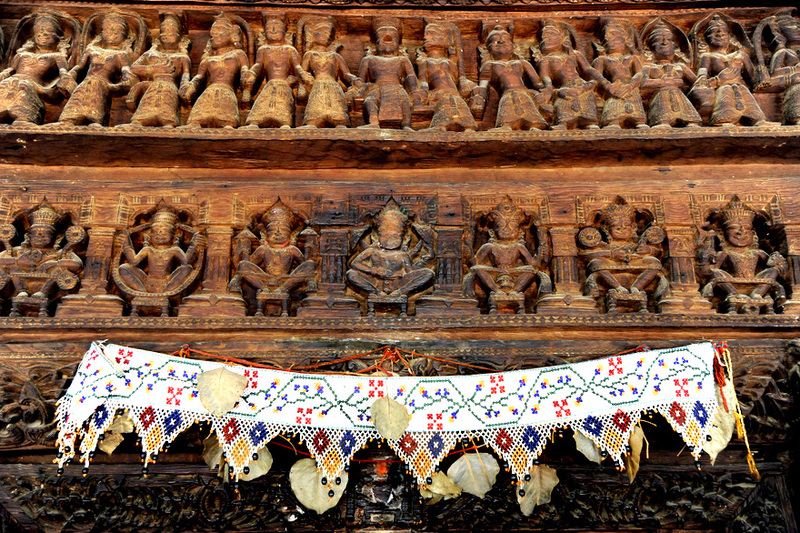 The Hidimbi Devi Temple has intricately carved wooden doors and a 24 meters tall wooden ‘shikhar’ or tower above the sanctuary. The tower consists of three square roofs covered with timber tiles and a fourth brass cone-shaped roof at the top. 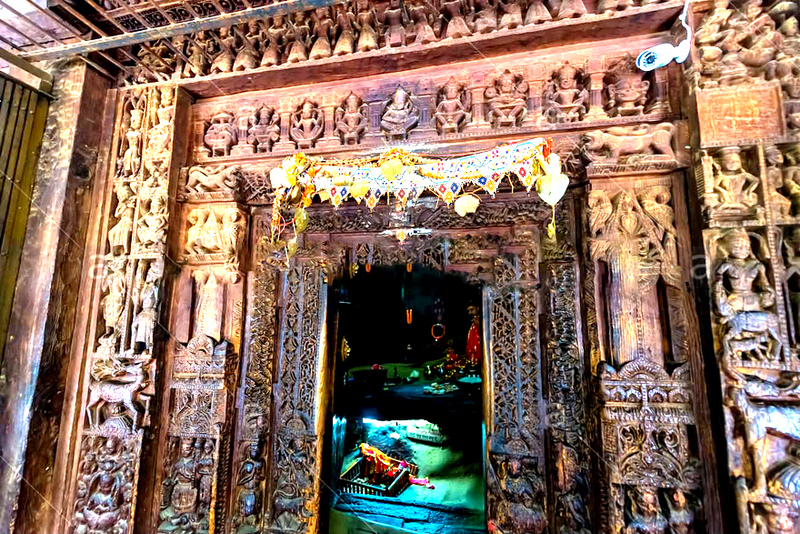 The earth goddess Durga forms the theme of the main door carvings. Also depicted are animals, foliage designs, dancers, scenes from Lord Krishna’s life and Navagrahas. The temple base is made out of whitewashed, mud-covered stonework. An enormous rock occupies the inside of the temple, only a 7.5 cm (3 inch) tall brass image representing goddess Hidimbi Devi. Hidimbi was supposed to have lived there with her brother Hidimba, who was supposed to be the demon and ruled over this region was a terror to all. He was subjecting his people and others to unbearable torture. Born into a Rakshasa family, Hidimbi vowed to marry one who would defeat her brother Hidimba. During the Pandava’s exile, when they are were passing through this region. 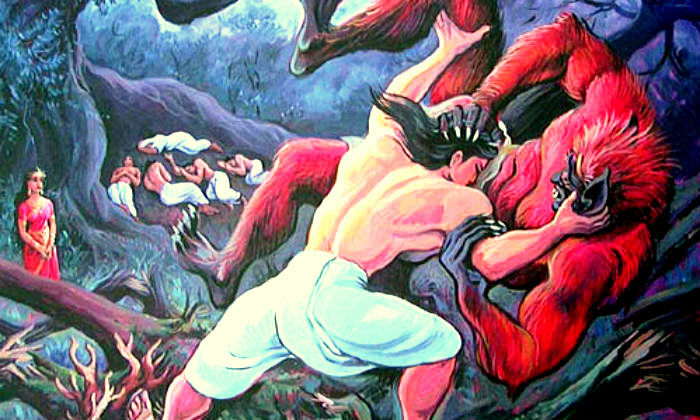 Being requested by the people of the region, Bhima killed the demon king. 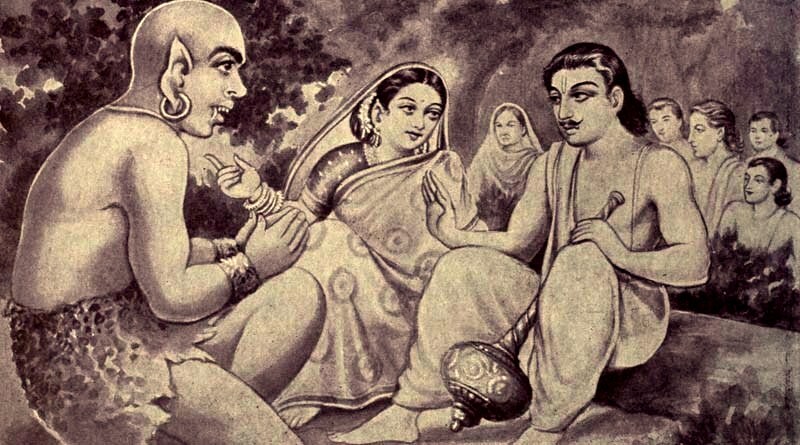 Then Bhima married Hadimbi and stayed in the region for a year. Hadimbi gave birth to a valiant son named Ghatotkachh after which Bhima left the region. Till the time Ghatotkachh came to age, Hadimbi ruled over the country. Once he was ready to take charge of the country, he was made the king and Hadimbi left for the Himalayas to do a severe penance. With her austere life dedicated to penance, Hadimbi acquired several supernatural powers and turned a goddess. Since then it is said she is lovingly blessing and guiding the people of the region. 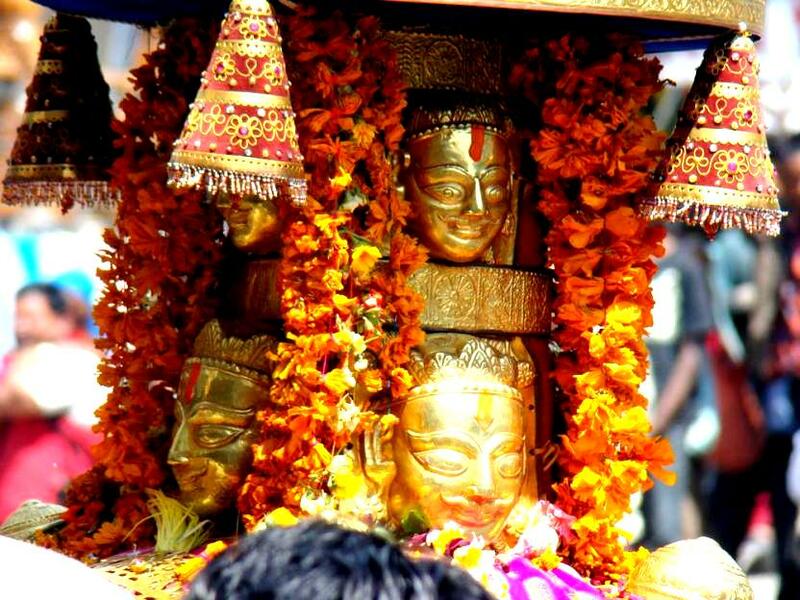 Dhungri festival is an annual feature fervently attended by the people of the region. This is one of the representative traditional festivals of India that helps the visitors peep into the local customs, practices, rituals and culture. Chief goddesses of different villages are decorated and brought to the Hadimbi temple complex. The highlights of the festival include Kullu Natti folk dance, reverberating drum sounds, an array of local dishes and the festive mood permeating the entire region. 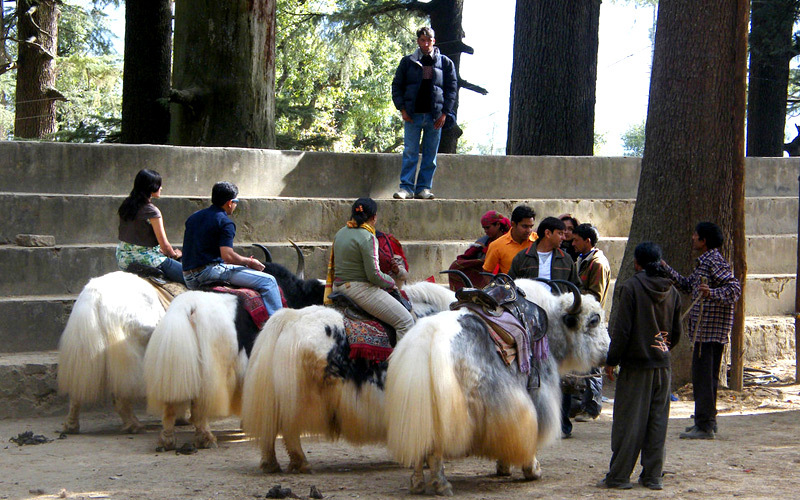 Yak rids at the temple premises are very famous.